In part 1 of this 3 part series, I briefly summarized the the state of the mobile home industry that motivated and necessitated this unique unprecedented legislation. Almost 40 years after the implementation of this rigid federal code became effective, the manufactured housing industry sometimes still carries the stigma of the shoddy conceptions of the mobile home industry of the 1950s, 60s, and 70s. In fact, there is zero resemblance to the mobile homes of that era and the manufactured home of today. 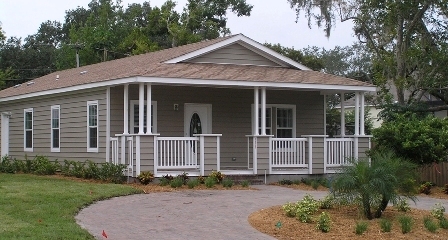 The federal enforcement and inspection system, along with technologies developed and advanced by manufactured housing producers, has resulted in a manufactured home that is equal or better built than a comparable site-built home and is 20-30% more affordable. Uniformity and consistency can be maintained in the federal government enforcement system because of two key factors. First, the inspections take place in the factory, during each phase of construction, and follow behind the manufacturer’s own in-plant inspection and quality assurance teams. This allows for more thoroughness since time is spent inspecting homes rather than travelling to inspection sites. Efficiency is increased because travel time is limited and necessary paperwork is minimized. Second, consistency is maintained because fewer people inspect more homes. The enforcement procedure is much less susceptible to individual interpretations, as would be the case with on-site inspections in every jurisdiction across the country. The federal government enforcement system begins under the watchful eye of the Design Approval Primary Inspection Agency (DAPIA). The DAPIA (a third-party inspection agency) must approve the engineering design of each home to be built, approve the manufacturer’s quality assurance manual for its plant and coordinate the other third party inspection agency, known as the the Inspection Primary Inspection Agency IPIA). The IPIA has the responsibility of making sure the production facility programs and procedures are in accordance with the DAPIA-approved quality assurance manual and it conducts inspections of homes produced in the factory to assure conformance with the approved design. 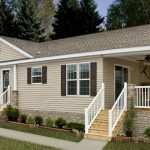 Before leaving the factory, each manufactured home must have a numbered certification label affixed to the exterior of each section of the home. This HUD label certifies to the home buyer that the home has been inspected in accordance with the federal government enforcement procedures, and it complies with the national building and safety code administered by the Department of Housing and Urban Development. Only when all inspection parties are satisfied that the home complies with the code, will the certification label be affixed to the home. A consumer seeing the home for the first time will have the assurance that the home has been thoroughly tested and inspected from the design stage through final construction and found to be built according to the approved design. Editors note: Please refer to part 3 of this three part series that details the home buyer advantages of the enforcement and related inspection system of the federal HUD code.